The best way to learn more about Eckert & Ziegler, our products and services, is to meet us or our local partners at one of the numerous nuclear medicine congresses throughout the year. We are also running regular trainings, workshops and webinars – the perfect chance to expand your knowledge and exchange your experience with other peers. Whether it is online during a webinar or in person at one of the regional conferences or trainings, we are looking forward to meeting you soon. The 23rd International Symposium on Radiopharmaceutical Scienes (ISRS 2019) will take place in Beijing, China from May 26-31, 2019. As one of the most important radiochemistry meetings worldwide it will attract many experts and specialists from the community. Meet our team in Beijing to encounter our latest products and innovations. 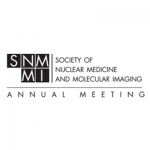 The annual meeting of the Society of Nuclear Medicine and Molecular Imaging (SNMMI) will take place in Anaheim, CA. The North American congress will attract leading physicians, radiologists, cardiologists, pharmacists and scientists from all over the world. Thus, it is the perfect place to meet experts from all over the world. Learn about the current and future trends in nuclear medicine and molecular imaging from research to clinical perspective. Eckert & Ziegler is looking forward to meeting you at our booth number 875. 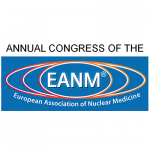 For the 32nd time the European Association of Nuclear Medicine hosts its annual congress (EANM 2019). As one of the largest and most important international meetings in the field of nuclear medicine, this event will connect more than 6000 experts from all over the world. Don’t miss your chance to take part in wide choice of scientific sessions and to find out more about the latest product developments and innovations in the industry exhibition. Experience the Eckert & Ziegler product portfolio at one of the live hands-on workshops during the year. Get to know Modular-Lab synthesizers, our quality control devices and the accessories for your GMP 68Ga laboratory. The hands-ons will be held at one of our reference sites worldwide. Contact us to arrange a customized meeting. You would like to refresh your knowledge in programming and handling of the Modular‐Lab software? Are you planning to start with the development of new tracers on Modular‐Lab Standard or Modular‐Lab PharmTracer, but feel that you are not very familiar with the programming procedures? This practical software training focuses on the complexity and utility of the Modular-Lab software. It will repeat the basics of the software as well as impart profound information on programming synthesis projects, using practical approaches. Participants will be able to develop projects on their own afterwards. The Modular-Lab synthesis training is a highly focused course which will be prepared individually according to the customer’s needs. It is either intended for the optimization of a local setup or as a general training for the user. We are looking forward to bringing our expert-led synthesis training to you. 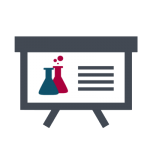 Whether you want to get a comprehensive overview over our product portfolio, need a brief training on Modular-Lab synthesis devices and their accessories or have other information needs. Our educational webinars are tailored to your individual demand to offer an optimal information source. Contact us now to set up a webinar with one of our knowledgeable experts. Do you want to meet us at one of the numerous exhibitions or are you interested in attending a training session? Use this form to contact us. We are looking forward to meeting you.